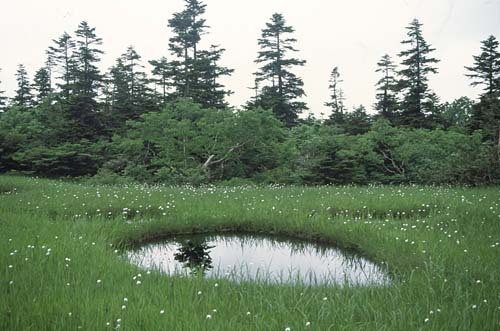 A marshy grassland as good as Oze National Park. Although it is the shortest in distance, because it has continuing steep hills, it is the route that takes the longest. Also, due to the fact that it is not actively maintained, be careful not to lost. Calming views as you stand and contemplate the Marshlands throughout the seasons. "30 minutes from JR Echigo-Tazawa to the gate for Oba-state forest by taxi、About 120 minutes walk to the start point of Marshland. 90 minutes from there to a shelter. "